Harriet Taylor Upton (December 17, 1853 – November 2, 1945) is best remembered as a leading Ohio state and national figure in the struggle for women’s right to vote and as the first woman to become a vice chairman of the Republican National Committee. Although she was born in neighboring Ravenna, Ohio, Harriet Taylor and her father, Ezra Taylor, an Ohio judge, moved with their family to Warren, Ohio, and it was there that Harriet attended school, as well as where she married George W. Upton, an attorney, in 1884. Her interest in local politics was from an early age, when she began working on local campaigns for candidates who shared her concerns for the equality of women and the welfare of all. She ran for a few offices herself, becoming the first woman to be elected to the Warren Board of Education. When, Harriet’s father was elected as a member of the United States Congress as a Republican from Ohio, succeeding President James Garfield in the position in 1880, she went to Washington, D.C. with him. This entry into the world of high politics provided Harriet with an opportunity to meet leading political leaders of the day, including Susan B. Anthony — the person who brought Upton into the movement to win the right to vote for women. Harriet was the first president of the Suffrage Association of Warren. 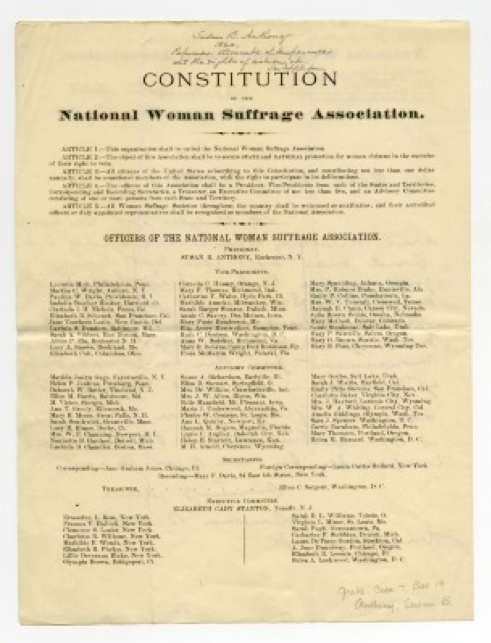 She was also a member of the National American Woman Suffrage Association (NAWSA) from 1890. In 1891, Upton hosted a conclave of women seeking equal rights with men, Ohio Women in Convention, in her Warren, Ohio, home. From that emerged the Ohio Woman Suffrage Association. 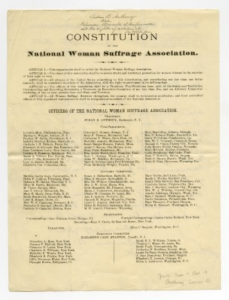 In 1894, Harriet was elected as the treasurer of the NAWSA, the leading national woman suffrage organization. Her home became the temporary center of the National American Woman Suffrage Association in 1903, when the organization moved to Warren, Ohio by Mrs. Upton’s request. In 1905 the headquarters relocated to the west wing of the new Trumbull County Courthouse and remained there until late 1909 when it was moved to New York City. 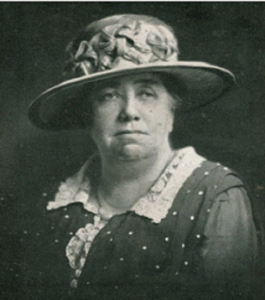 Under Harriet’s direction, and with the help of Elizabeth Hauser of Girard, Ohio the NWSA grew into a strong, well-integrated organization under which victory was achieved in 1920. Additionally, Harriet served as president of the Ohio Woman Suffrage Association from 1899 to 1908 and again from 1911 to 1920. In 1920, Harriet Taylor Upton was elected Vice Chairman of the Executive Committee of the Republican National Committee. She was the first woman to serve on that highest national body of Republican Party politics. It was said by The Washington Post, “Mrs. 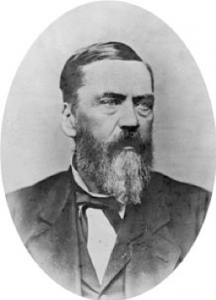 Upton is without a doubt the best liked and wisest suffrage worker in the country. Always in times of stress, the other state leaders have to call on Mrs. Upton.” Through her political involvement, she became friends with Presidents Hayes, Garfield, McKinley, Harding, and Hoover. She was also a children’s author, her most well-known book, Our Early Presidents, Their Wives and Children, From Washington to Jackson, published in 1890 by D. Lothrop Co., Boston. A remarkable woman, a modest woman, a modern woman in a time of change. Her name is not as familiar to us as Susan B. Anthony, Carrie Chapman Catt, or Alice Paul, but Harriet T. Upton’s work stands just as firmly as she stood beside these names. Thank you, Harriet!